This is an excellent "first book" on Pilates. 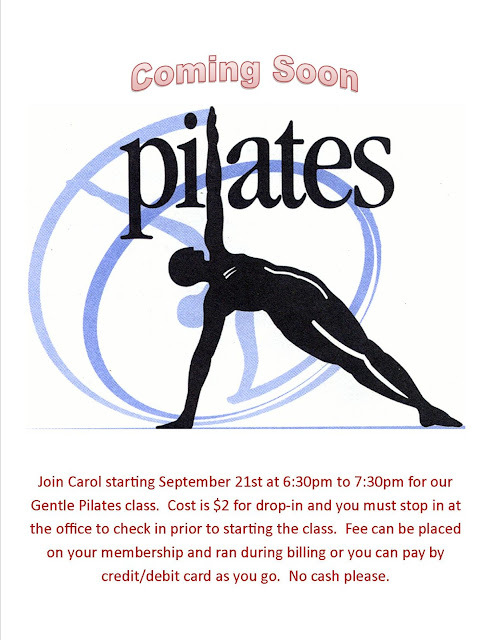 It is especially helpful if one cannot get to a certified Pilates instructor to teach them how to do the moves. It has very sound directions for doing all the basic Pilates moves. I am not quite sure why she mixes really advanced exercises in with the intermediate ones though. I would do these in order and not mix them together like she does. I like her little illustrations to give imagery to what a person is trying to achieve in the exercise. I will use them for my classes! It is hard to believe, but I have never read this. I had to go up to Hillsboro to pick up George and was able to listen to all but 43 minutes of it on the way up. George said he didn't mind if I finished it on the way back down, and he loved it too. Ian Holm (the older Bilbo in Lord of the Rings) is perfect as the narrator! It is a great book. It is a deep look at the good and evil that lies in all of us! I read this for my Book Dames book club! I woke up really early this morning. I think I was afraid that I would not be able to pack before the 7:30 am deadline of getting out the door for a morning kayak up near Scappoose. Yes, ladies and gentleman, we WILL be having a little bit of family time before everyone leaves the nest! We had to postpone our trip to California until December due to getting this job with OSU. I had First Aid Training, PAC (Physical Activity Course) Orientation, and a social on Wednesday; a "Teaching Tips for Instructors" class on Thursday; and a new instructors meeting and CPR training on Friday. I was also able to get another key that opened up the stereo cabinet for my class. In addition to this, I finally got all the paperwork for becoming an independent contractor with SNAP Fitness and that involved buying liability insurance for being a Pilates instructor and Personal Trainer (coming in December). How do you figure out what to focus on? How do you make whatever you choose a reality? Such great questions, Dali!!! I have the countdown timer rolling, and I am not going to pick up my fingers from the keyboard for seventeen minutes. Ready and GO! This is the second time I was WAY down on the list at my library, but I scored in getting it ahead of most other people. The CD and the book hold lists were enormous, but I went on the Library2Go, and they had not even ordered it yet. So, I requested they ordered it and got it FIRST! YAY! Down to my iPhone. BOOM! I listened to this on the plane to and from Denver (and a little when I had trouble falling asleep while there). I liked it. I do not think it is the MASTERPIECE of To Kill a Mockingbird (one of my Top 5 favorite books of all time), but I also don't think it is the MESS that some reviewers are calling it. Reece Witherspoon's narration is PERFECT. That probably helped me in falling in love with the book. I also think some people do not like it because of how it portrays Attichus Finch. He was a product of his generation and geographical location. I wasn't as ruffled by it as some have been.